University of Newcastle (UON) staff and students can use the following services to request books and journal articles not held by the UON Library. Use Bonus+ to request books NOT HELD by the University of Newcastle Library. 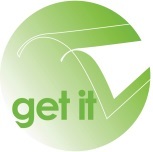 Use Get it to request items that are not held by either the University of Newcastle Library or a BONUS+ Library. Use ArticleReach to request journal articles NOT HELD by the University of Newcastle Library.